THE PASSIONATE PRO-LIFER TURNED ABOLITIONIST: Vote protects unborn beginning at conception - PTL!! 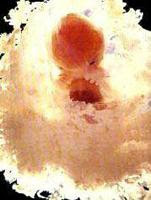 Vote protects unborn beginning at conception - PTL!! Lawmakers working on a new constitution for the Dominican Republic have voted overwhelmingly to protect life, specifying in the document that "the right to life is inviolable from conception until death." The vote yesterday was 167-32 in the national legislature, which was responding to pressure from international pro-abortion groups seeking to expand their business operations into the Caribbean island nation. "A true respect for human life is protecting it from the beginning, the Dominican Republic is ahead of America in building a society where all human life is truly respected," said Ignacio Reyes, director of Live Action San Jose. His group was among several that sent representatives to the nation over the past month to explain the full impact of abortion.